This App allows you to easily annotate photographs, whether it's to draw attention, amuse, copyright, or protect. You can either use an existing photograph from your photo album, or take a new one from within the App. Simply enter your text, and choose alignment, opacity, colour, font (a vast choice), as well as details such as edge colour and size. This is much more than merely useful for signing, it is also great for creating speech bubbles! This has some pre supplied shapes, special texts (such as date and time), cartoons, and stock texts. These all help the creative process. Your completed work can then be saved to your camera roll, as well as shared via E-mail (including as a PDF), Facebook, or Twitter. The App displays details on how to edit your annotations; very useful. There are four videos which will help you get started with A+ Signature, including instructions on watermarking (very useful for protecting your work from being copied), as well as signing. The full App costs $2 but there is also a less featured, 'lite' version which is absolutely free. It's one of those Apps that you wish you had but, not necessarily one you would use on a daily basis. The helpful instructions make the App even more reliable... as the user doesn't need to make mistakes. There are no issues within the App but, the ease with which one can share on Facebook or Twitter might lead to temptation. 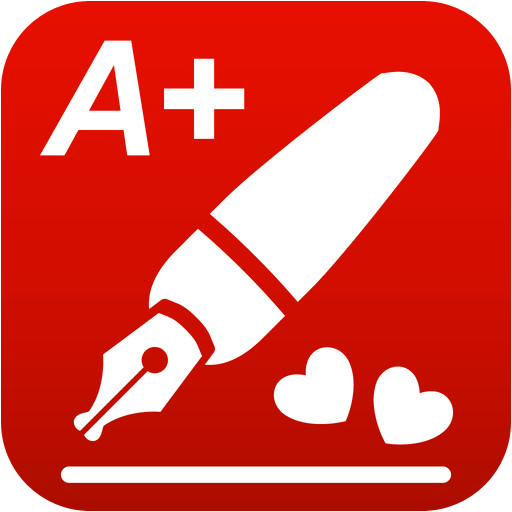 You can get A+ Signature here and support for the App here.